Leah Hayes wins. A lot. 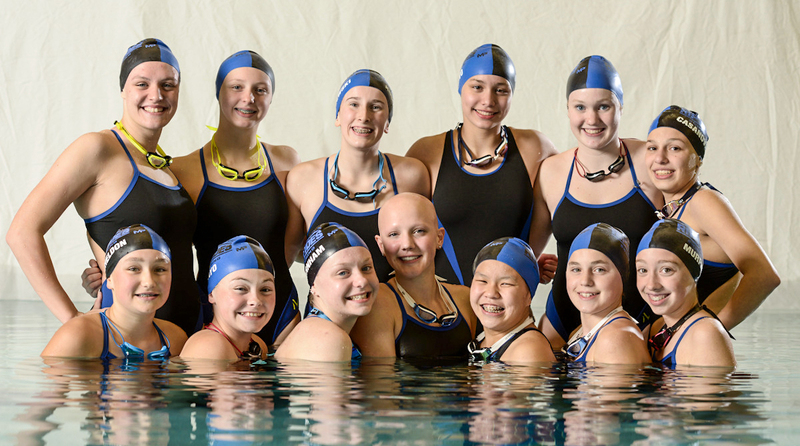 The 13-year-old swimmer almost never loses when she races near her hometown of Sugar Grove, Illinois, a suburb of Chicago. She owns six national age-group records, two of which she set this year. In some longer local events, she laps her opponents. Winning fuels her. “Who doesn’t love winning?” she says. But as much as she loves winning, she hates seeing other people down. After a victory, Leah will often swim over to a competitor who is taking the loss hard and console her. Officials tell her coach how impressive Leah’s sportsmanship is. And she wants to make others better. Her relay times are sometimes faster than her individual ones. There was a period, however, when Leah wasn’t so confident. When she was six, she began to suffer from alopecia, a disease that causes hair loss. 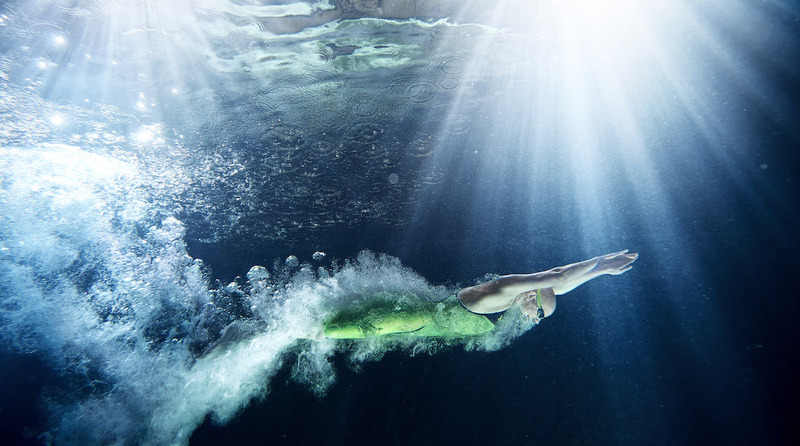 After struggling with its effects, she now embraces her look—and uses her success in the pool to spread a message: “Don’t let anything hold you back. Be confident in everything you do.” Her ability to win races makes her a great swimmer. Her ability to do it with grace and positivity makes her the 2018 SportsKid of the Year. Though Leah’s mom, Jill, was a collegiate swimmer at Western Illinois, she and her husband, Tim, didn’t expect to have a swim family. Leah’s older brother, Carter, participated in a number of different sports, and their parents thought that Leah would do the same. But that changed when she got in the pool. Leah, who was diagnosed with alopecia when she was six, owns her differences and tries to set an example for others. As a 10-year-old, Leah went on a two-week winning spree that etched her name into the record book. To hear Leah tell it, she had no idea what was happening. “I was just out there swimming,” she says. In fact, she set five national age-group (NAG) records over two meets. The names of Olympic stars such as Missy Franklin, Katie Ledecky, and Simone Manuel appear over and over in that record book. Leah is in there six times. The first record fell at the Illinois Long Course Age Group Championships. Leah broke the 200-meter freestyle NAG for ages 10 and under by more than a second (2:14.87). A day later, she took the 50 free record (28.33). The next week, at the Central MegaZone 14 & Under Championships in Indianapolis, she set marks in the 100-meter freestyle, 50-meter breaststroke, and 200-meter individual medley (IM). The latter record had stood for 13 years. The swimmer who set it, Elizabeth Beisel, now has two Olympic medals and was a co-captain of the 2016 team. Leah doesn’t just dominate swimmers her own age. In August, at a USA Swimming Futures Championship, Leah competed in a field that included 20- and 21-year-old collegiate swimmers. 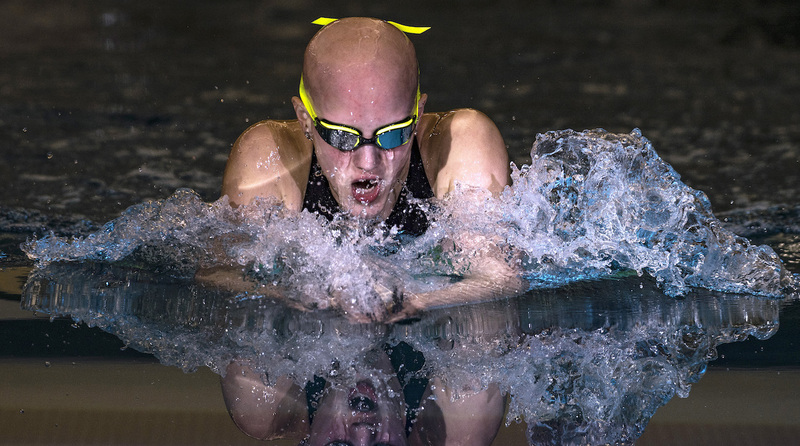 She won the 200-meter IM, coming just .4 of a second from breaking Franklin’s age-group record. Leah’s success in the pool has appeared to come quite easily. But on her journey to becoming a swimming superstar, she’s encountered some choppy water. Leah tackles all four strokes in the individual medley, a test of a swimmer's all-around skill. When Leah was six, her mom noticed a spot of missing hair on her head. Doctors successfully treated it as alopecia areata (characterized by the loss of patches of hair), but by the following spring, her hair started falling out again. This time, treatment didn’t work. A few months into the following school year, she had lost all her hair, including her eyebrows and eyelashes. Leah was diagnosed with alopecia universalis, a rare form of the disease. Occasionally, the wig would fall off, and other kids would notice. Rumors began to spread. What’s wrong with Leah? By the time she reached fourth grade, Leah was, as she says, “done” with it all. Leah had planned what she was going to say, but she was still nervous. In the school’s cafeteria, in front of 100 fourth-graders, she explained why she didn’t have hair anymore. Afterward, Leah went to the bathroom. Then she took off her wig, looked into the mirror, and began to cry. “I was just so happy,” she recalls. Leah loves being around her Fox Valley Park District Riptides teammates. But she wants to compete with respect. She makes sure to congratulate each swimmer after a race. She doesn’t pump her first, even when she breaks a record. She’ll give trophies or ribbons to friends and fellow competitors. “We’ve preached [sportsmanship], but she’s always had a kind heart,” Tim says. Leah loves to hang out with her friends and to binge-watch Netflix. (She’s currently on her second viewing of The Office.) She is a devoted patron of Chipotle (her order: brown rice, pinto beans, carnitas, sour cream, cheese, and guacamole). She has one big goal that’s next on her list: the 2020 Olympics in Tokyo. Leah will turn 15 two months after the Games. It’s not uncommon for 15-year-olds to swim at that level. Michael Phelps finished fifth in the 200-meter butterfly in 2000 and Ledecky won gold in the 800 free in 2012. Whether Leah qualifies for Tokyo remains to be seen. But one thing is clear: At every step of her journey—win or lose—she’ll be fast, she’ll be sportsmanlike, and she’ll be herself.